The four of us woke up this morning raring to go after a very good night’s sleep. Chloe and Sophie were simply wiped out from the long travel day and my husband and I had pills to thank for our decent slumber. Refreshed and excited, we made our way to Paris where we had a most excellent time wandering through the streets with no particular destination in mind other than a foiled visit to Notre Dame (more on that below). Unlike our visit to Paris two years ago, which was memorable for lots of things, but especially the crappy weather, today was a picture perfect day. 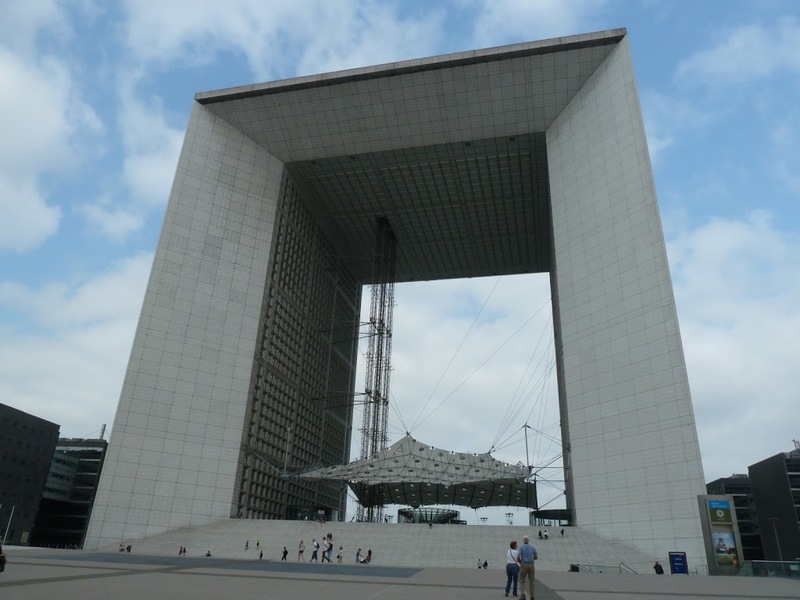 We started at La Grande Arche de la Défense, a modern riff on the Arc de Triomphe that was inaugurated in 1989 to commemorate the bicentennial of the French Revolution. It’s located just west of Paris in a huge commercial and office complex called la Défense. Because no skyscrapers are allowed in the city center (other than the Tour Montparnasse), a large concentration of them can be found here. The site affords great views of Paris. We stayed just long enough to take some photos and enjoy the vistas, and then hopped on the subway to Notre Dame, where we hoped to climb to the top of the towers. 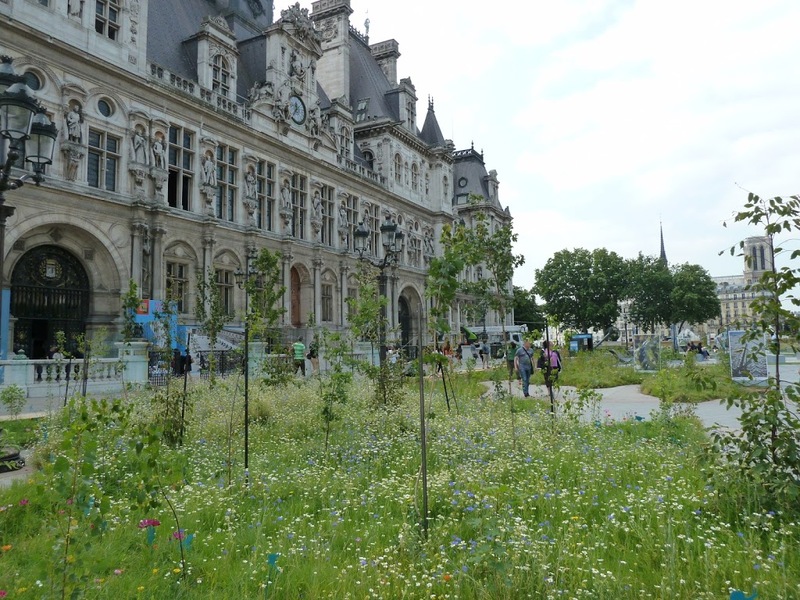 As we strolled from the subway to the cathedral, we happened upon an unexpected landscape in front of the Hôtel de Ville. In the winter, the city installs an ice skating rink. This summer, however, the pavement was transformed into a temporary wildflower garden. How I love surprises like these! Just across the Seine from Notre Dame on the Left Bank is the Square Rene Viviani, a small park that would otherwise go unnoticed but for a remarkable inhabitant. 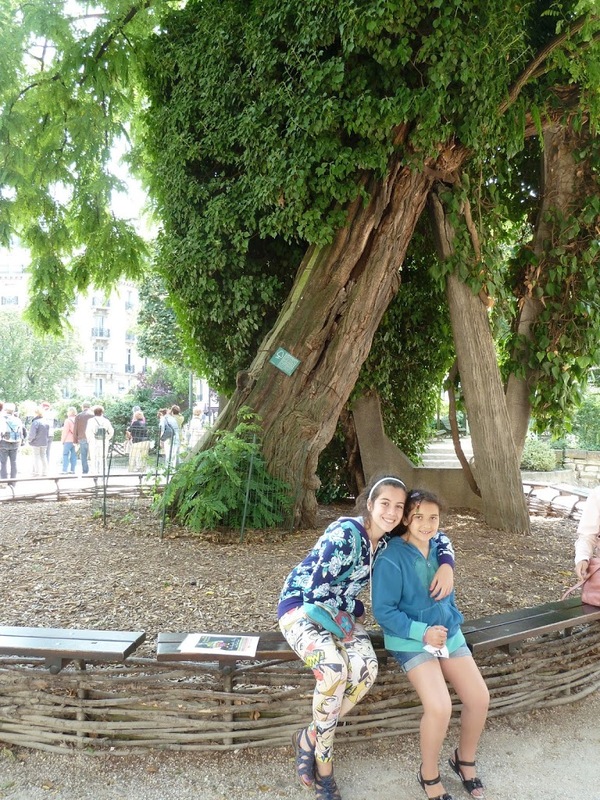 It’s the home of the oldest tree in Paris, a false acacia that was planted by King Henri IV’s gardener in 1601. Sophie did the calculations – the tree is 412 years old. 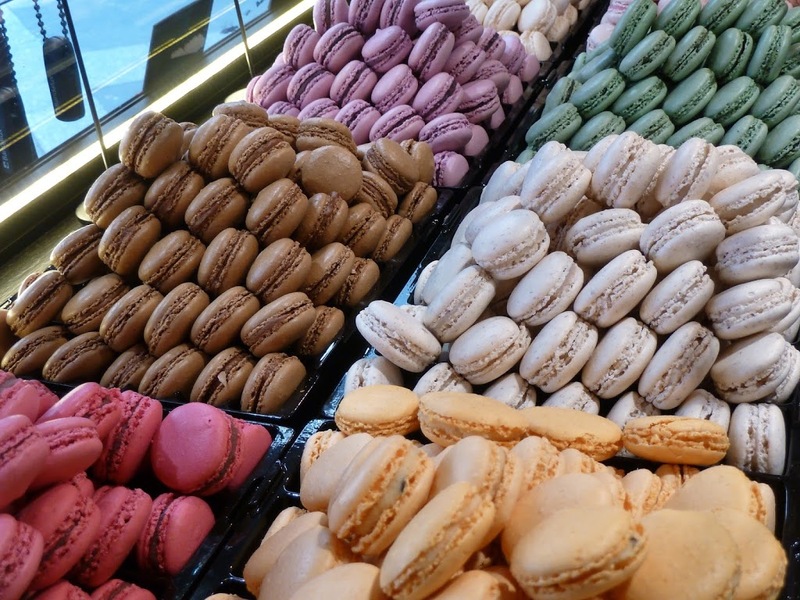 And what’s a trip to Paris without eating and taking photos of sweet treats? Credit to Chloe for this lovely picture of scrumptious macaroons. There are some places in Paris that we revisit every time we go. The Jardin du Luxembourg is one of them. As a reward to Sophie for being such a great wanderer today, we made a pit stop at her favorite playground in the world, where she could go a little crazy and where her Papa could take a nap. 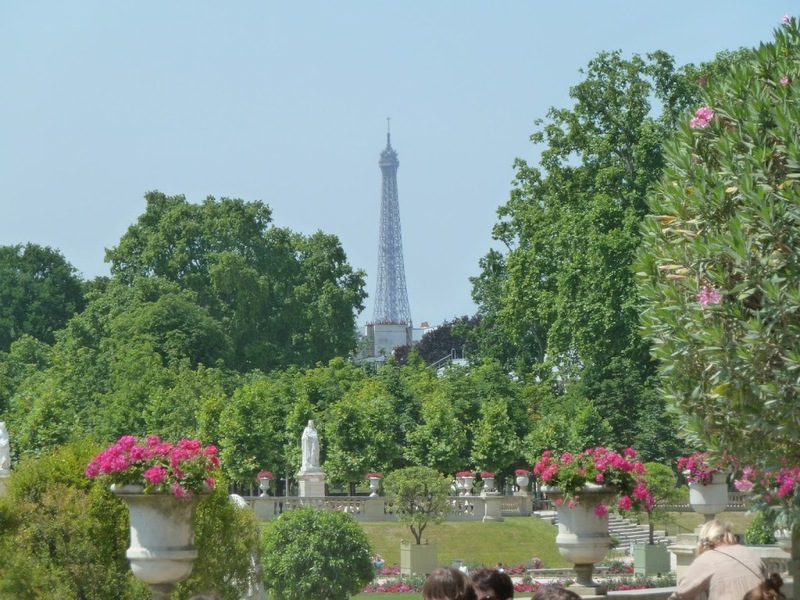 I’ve visited the gardens many times, but I don’t think I ever noticed this great view of the Eiffel Tower popping out from behind the flowers and trees. After years of complaining that the streets of Paris were too narrow for her, Chloe is finally old enough to appreciate the architecture and the history that envelops her. Sophie, who is still too young to really care about those things, had a great day because not only did she get to play, she added to her growing collection of discarded bottle caps: Heineken, Vittel, 1664…. She didn’t even complain about all the walking we did. 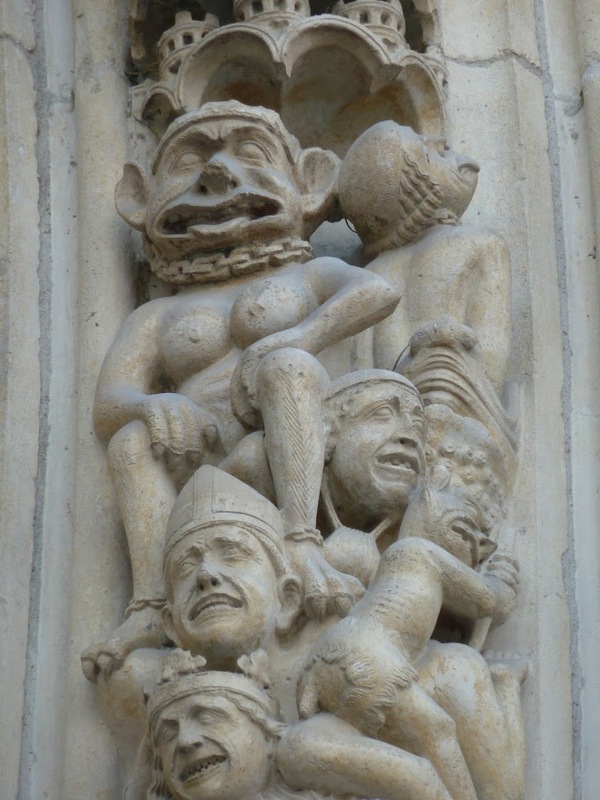 The next leg of our trip begins tomorrow when we travel to the Loire Valley to follow in the footsteps of kings, queens, kings’ mistresses and Leonardo da Vinci (more on these categories in subsequent posts).